Facebook. The land where the “Like” is commonly the number one goal. I had a client mention that he was intent on getting more Page Likes, a common ask that persists even as the platform transforms around us. Page Likes have become a vanity metric, looking good on the outside, but fairly shallow when examined more closely. Some have calculated the monetary value of a single Like, others base entire businesses on duping clients into artificially boosting their page Likes, with no clear return on that investment. What results are pages with hundreds, thousands, millions of Likes, but very few people that ever actually see the posts. There is no doubt you need to build a user base, but doing it from the ground up through engagement is key – the Likes will come. But simply getting Page Likes creates a false sense of success, especially if you’re assuming all your Fans see all your posts (which they don’t). 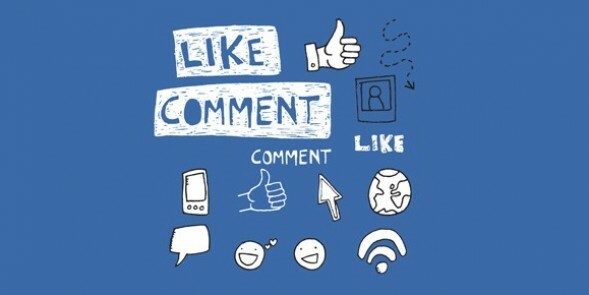 Remember…there are two kinds of “Likes” – the Likes on a Page and the Likes on a post. Which Would You Say is Most Important? If we then take into account that almost all brand pages will or have already seen a dip in total page Likes and that less than 2% of Facebook fans actually go back and visit a page they “Like”…the answer becomes clear as day – it’s the “Likes” on posts that deserve our focus. With stats like these, I’d also advise caution in investing in custom Facebook tabs for your Page (something still commonly being sold), because if only 2% of your Fans are coming back to your page, you can imagine that the number clicking into your Tabs would be far, far lower. We also have to consider that a large majority of Facebook users primarily use their mobile device to access the network – Facebook Tabs don’t exist in the mobile app, missing a tremendous opportunity to reach your target audiences. In early 2014, with changes to the Facebook Newsfeed algorithm (that crazy thing that decides what you see in your Newsfeed), brand Pages started to see a drastic decline in reach (as much as 80%) – meaning that at baseline, without engagement, as little as .01 – 2.5% of your total page “Likes” base could actually be seeing your posts. So not only is it imperative we put our ongoing focus on post “Likes,” rather than the Page “Likes” as a metric for success, but we also have to recognize that the much hyped “Like” is only one piece of the trifecta of metrics we should be focusing on to prove a return on investment, with the other two being Shares and Comments, metrics that are an even better indication of quality traffic. A Like is a simple click, to share or comment takes consideration, decision and ultimately a more meaningful action. As we know, the more engagement we see on Facebook posts, the more likely they are to show up in Facebook Newsfeeds, meaning they garner more exposure. Facebook consistently shows us content our friends are engaging with in addition to their status updates. It’s an important thing to remember and the potential for exponential reach via the Newsfeed is waiting to be tapped. It’s all about leveraging the Timeline on your page, so really, it’s all about creating engaging content and the Community Management that drives it.